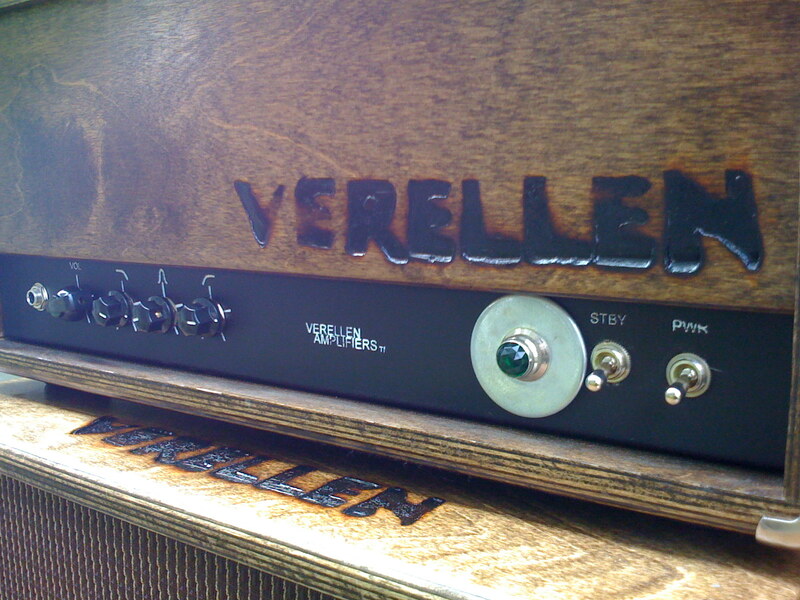 I can’t write a review about my new Verellen AC30-style guitar amplifier (spoiler alert: it is AWESOME!) without talking a bit about Ben Verellen. I first met Ben at his home/workspace in Seattle’s Wallingford neighborhood. He was running off to class at UW where he’s finishing a degree in electrical engineering. But before he hit the books, we spent a good deal of time communing on the perfect amp that he would build for me. It was one of those rare meetings where I knew this fellow musician / ampsmith / future electrical engineer thought just like I did about everything that makes a tube guitar amp a modern wonder of vintage science. The amp I commissioned from Ben is as simple as the best amps get. It does one range of sound but it does that sound very, very well. 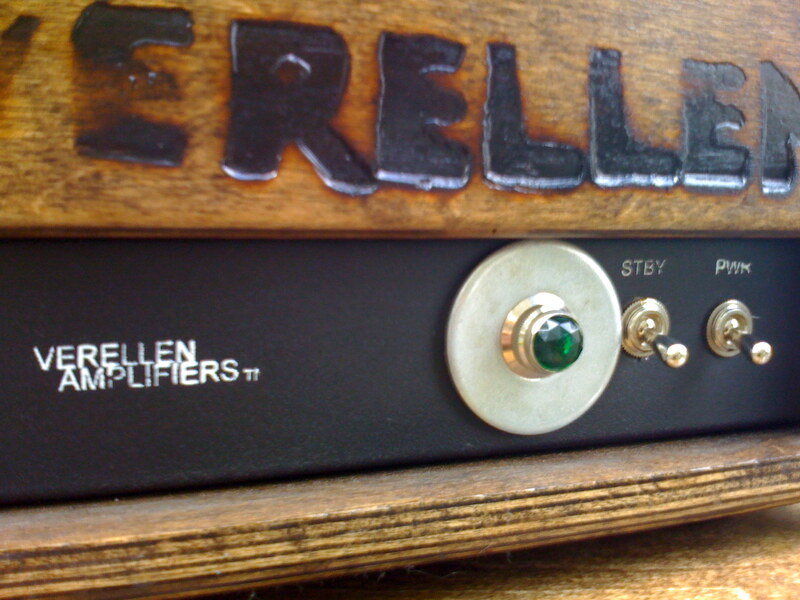 The volume knob is the key feature of the Verellen amp. With my Telecaster in single-coil bridge position I get a gorgeous full clean tone around 25% volume, warm growl when I’m digging in to the strings at 50% volume, nice chunky classic rock at 75% volume and full-on sustainable single notes at 100% volume with just enough feedback to please but not enough to crash the party. Switching pickup positions and guitars does pretty much what you’d expect – it makes every guitar sound it’s best and reveals it’s most unique tonal qualities. This is an all tube amp, built entirely from the ground up. It has many of the qualities of the classic Vox AC30 but with it’s own signature Verellenian sound. It’s simple, solid, aesthetically pleasing … and it’s completely awesome. If I were a professional amp reviewer (spoiler alert #2: I’m not) I’d get into the detailed minutiae of gain structures, EQ charts and exactly how this thing works. Instead I’ll try to get at why I love this amp through a story from my past. When I was growing up in Anchorage, Alaska in the 1980s my mom and dad returned from a trip to the exotic land of Los Angeles, California with a 1976 Fender Lead II—my first guitar! 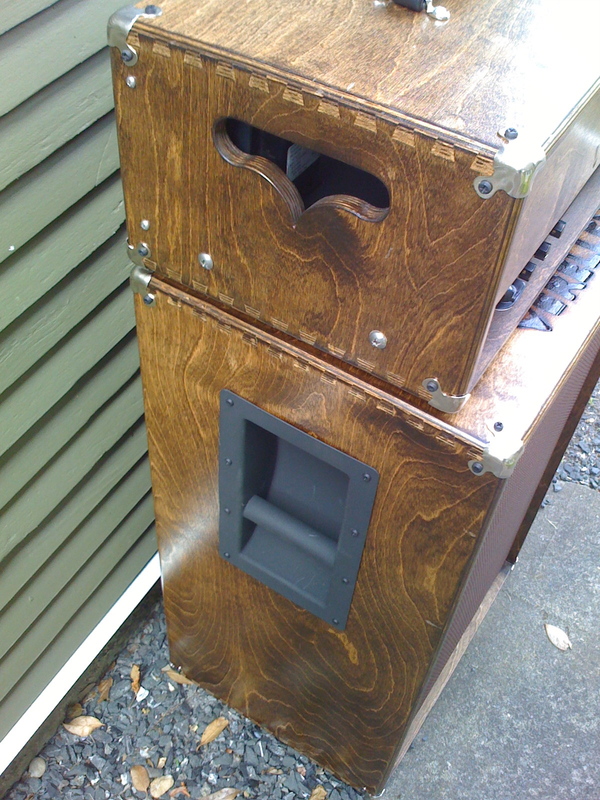 A friend gave me their throw-away amp head and I somehow drummed up a free 2×12 cab. The amp was a 70s Fender Bassman head. I knew nothing about guitars or amps so I quickly tore off the tattered silver grill cloth and painted the amp head and speaker cab with the only paint we had in the garage: exterior brown house paint from our very own split level home. The only sound I knew was that 70s Bassman amp through a 2×12 cabinet with a Fender guitar, more often than not with amp and guitar volumes dialed to ten. It was a pure and awesome sound. With little knowledge of how an electric guitar or amp should sound, I naively assumed that all guitars and amps sounded this great. The amazingly warm, rounded distortion and growl this amp and guitar produced set me on a lifelong path of tinkering with guitars and amps. Fast forward to 2008. 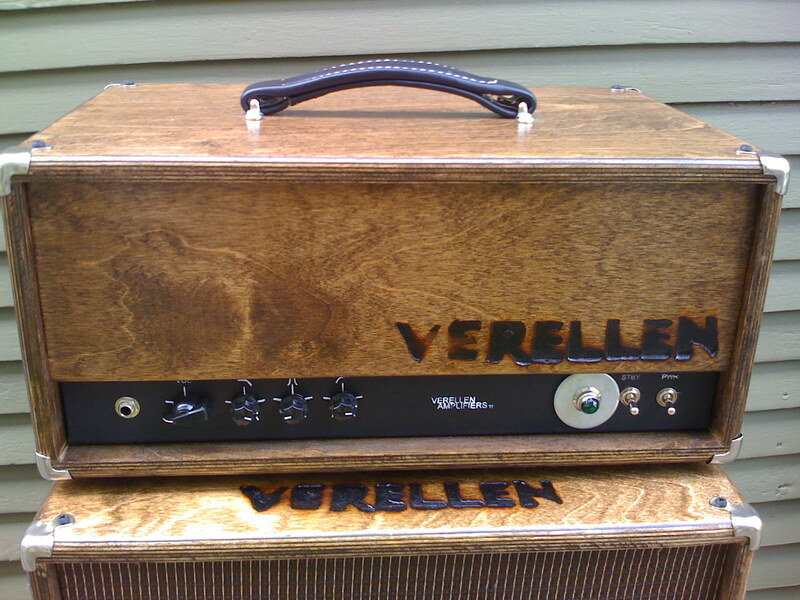 My new Verellen amp is easily that good and, coincidentally, it’s stained brown walnut. It does what I learned at an early age an amp should do: one sound, but one sound very well. 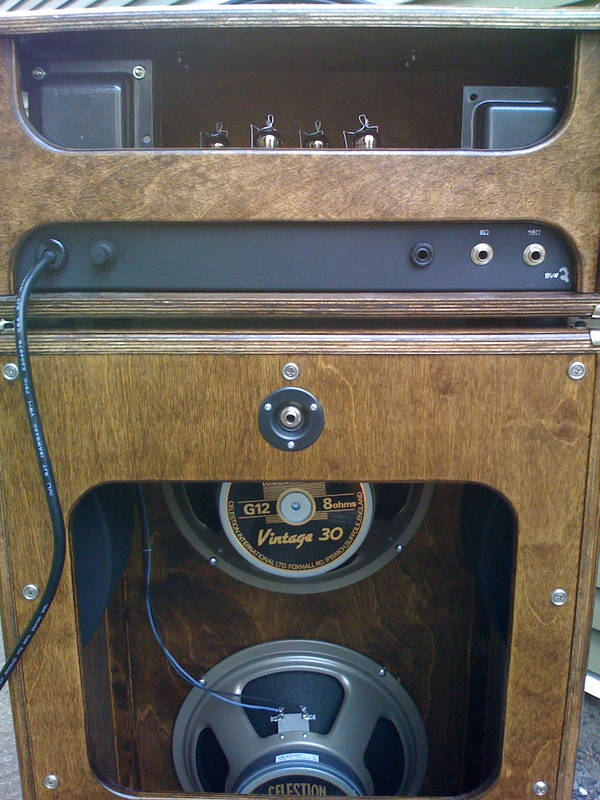 The brown amp is back, but this time designed and hand-built by ampsmith Ben Verellen of Seattle, Washington. 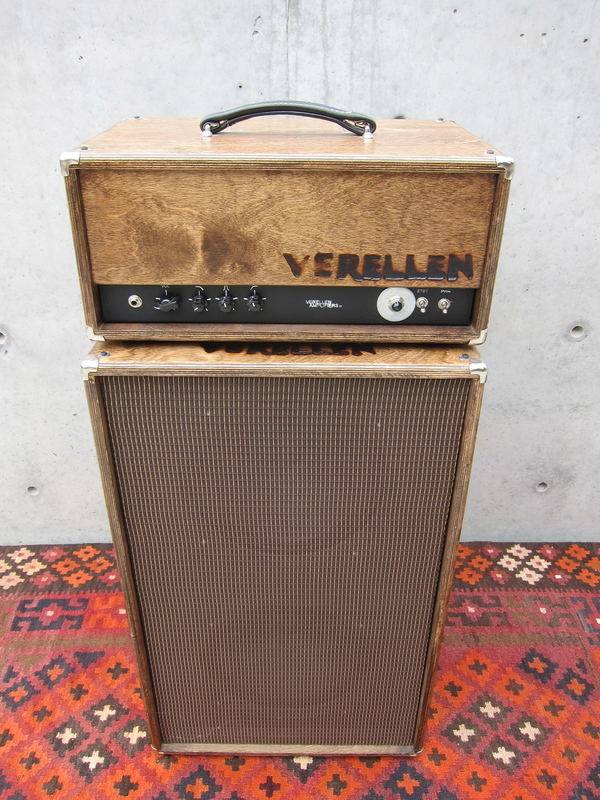 No need to turn it to eleven, this amp already goes to Verellen. Wow, I have to check these out.